McMurray grew up in Spruce Pine NC. He studied painting, sculpture, and the graphic arts while pursuing a degree in Architecture at the NCSU School of Design, graduating in 1963. 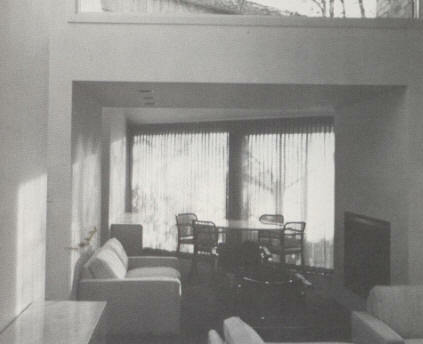 After completing a Diploma in Civic Design at the University of Edinburgh in 1967, he worked for Eero Saarinen. His first project was the international travel tube for the TWA terminal at JFK Airport in New York. He left for two years for the Peace Corps. 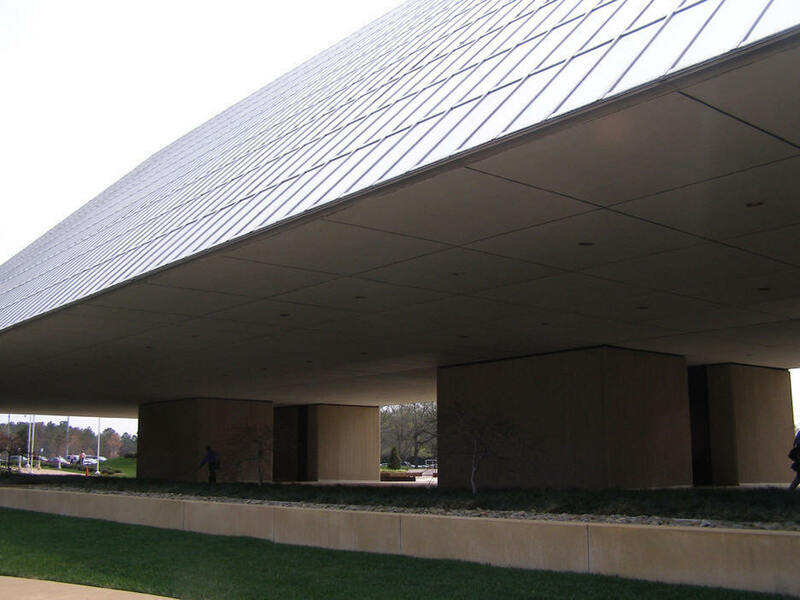 When he returned, the firm was Roche/Dinkeloo, and he worked on the Ford Foundation building and the University of Massachusetts Art Center. McMurray moved back to NC as Director of Design for A. G. Odell's office in Charlotte, working on Burlington Headquarters in Greensboro (left, destroyed in 2005) and the trapezoidal Blue Cross Blue Shield Headquarters in Chapel Hill (below, left). 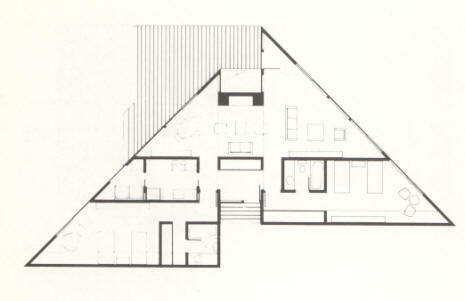 He worked for Harry Wolf for about a year before opening up his own architecture/planning office in 1971. McMurray's interests in building interiors led him to design and develop a collection of furniture which he began selling from Charlotte and manufacturing in New York in 1981. After selling the firm in 1998, he again pursues sculpture, painting, and the graphic arts. He lives in Florida. He has travelled to 91 countries and 49 US states. 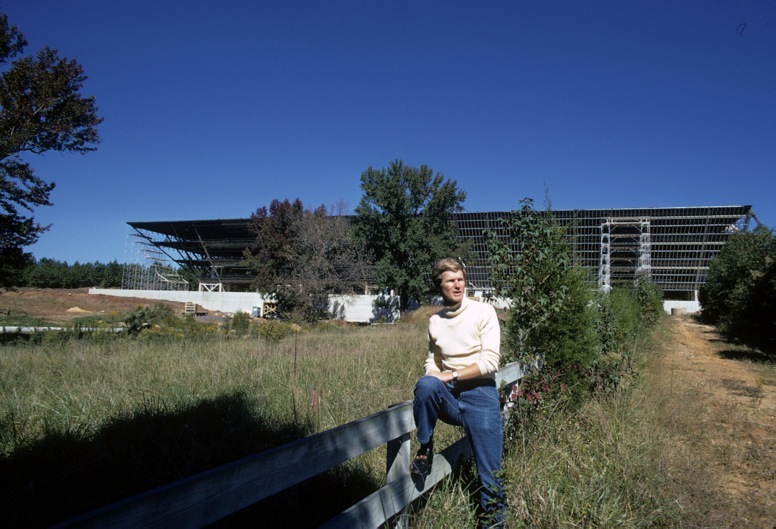 Here's McMurray with the Blue Cross Blue Shield building under construction in 1969. 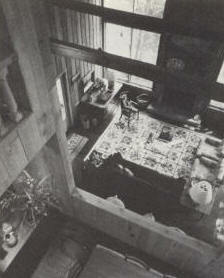 1972 - The Shepley House, Blowing Rock NC. Do you know where it is? 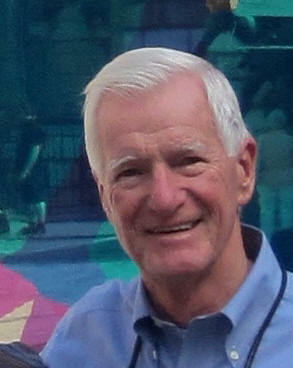 Harry Wolf was too busy to do houses at the time, so he referred McMurray this client from Sarasota FL. The couple was too busy to pick out fixtures and furnishings, so McMurray picked everything: dishes, furniture, sheets, the works. Has been sold and extensively remodeled, including adding a second story. 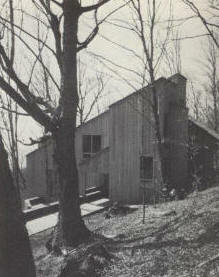 1973 - The William S. (Bill) and Kim Lowndes Residence, Red Hawk Road, on Yellow Mountain, Frank NC. A remarkable five levels on nine acres. 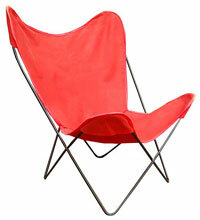 Sold in 2004 to Saxby and Elizabeth Chaplin, and Kenneth and Lucy Dierks.